Recently I’ve tested quite a lot of natural brands from Germany. 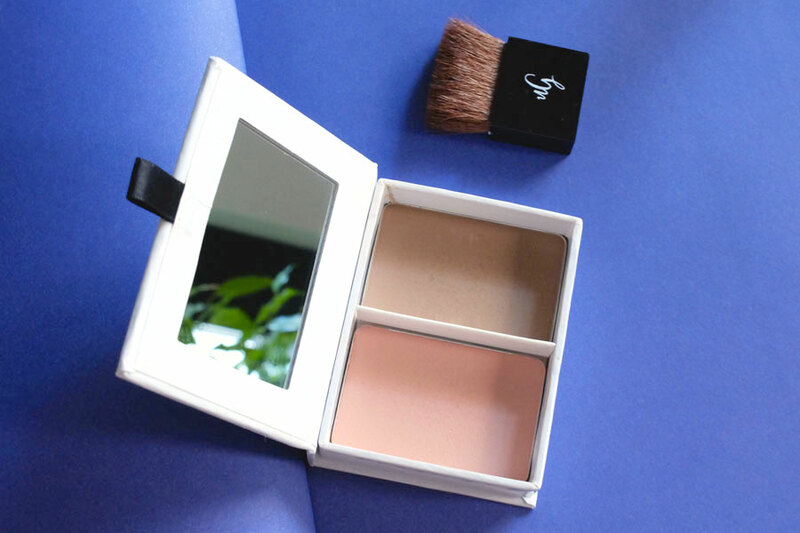 Und Gretel makeup has been on my list since a long time and I use it now for quite a while, so it was really time to write a review, because it deserves a big like. You will soon see also the products in action in the upcoming video tutorial. So stay tuned! 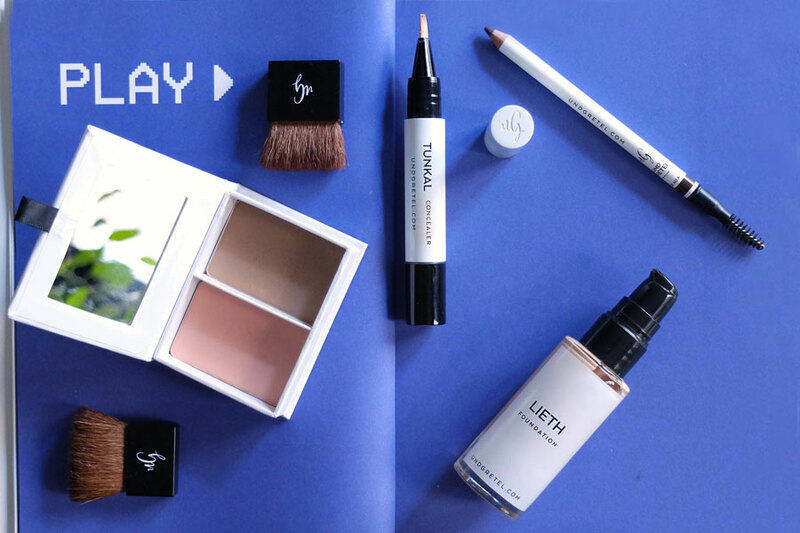 On the green beauty market I am always interested the most to try foundations and concealers and then it comes the rest. So I will start with Und Gretel Lieth foundation. There are 5 shades and I have tried Porcelain Beige which is a light shade with neutral to cool undertones. I can’t stress enough how much I love the finish of this foundation; light, it spreads quickly and evenly, it leaves a nice radiant, healthy glow without any greasy shine. I’d call it semi-matte. It has a medium coverage and I find the technology of all the products extremely innovative, especially because we are talking about natural cosmetics. It can be compared to high end conventional foundations. The best is that it looks even better because it doesn’t leave that “plastic” effect. The skin is even, smooth, radiant, covered and protected. The formulation consists of natural oils that give moisture to the skin, like avocado, sunflower and rosehip oil, plus clary sage and camomile extracts to soothe and calm the skin. It has a delicate (almost no) scent. Und Gretel Lieth foundation is packed in a 30ml glass bottle with a pump. 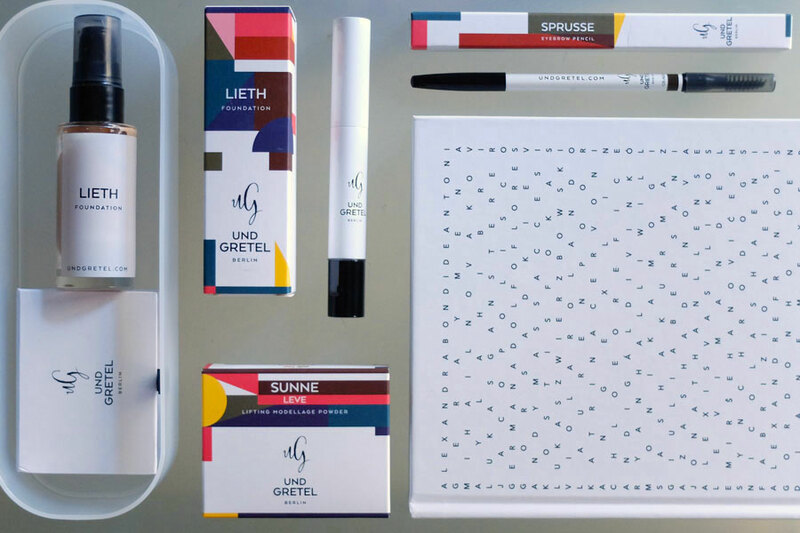 All Und Gretel products are packed in beautiful colourful packages. Really love the graphic design too! My overall impression is that this is one of my favourite all-around liquid foundations. I was very curious about this product as well. Und Gretel Tunkal concealer comes in 3 shades; I have tested the medium one n.2 called Light beige which is a light cool rose shade (lighter than the reviewed foundation). 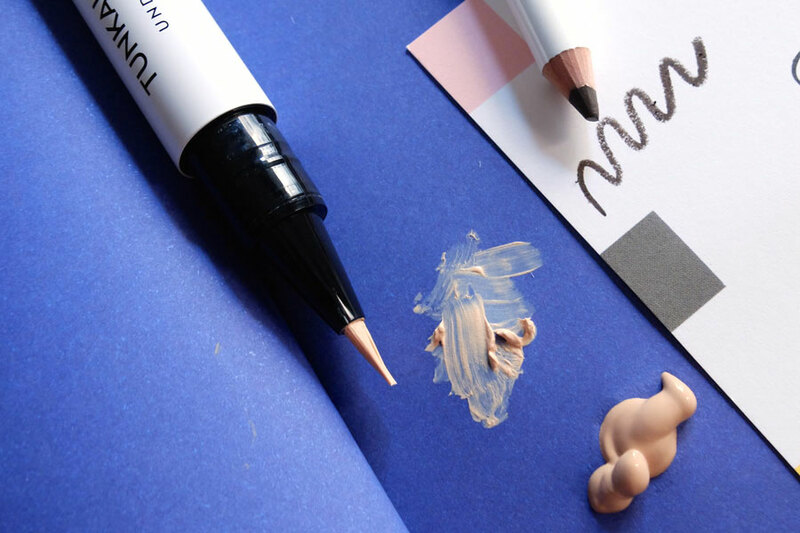 The concealer is packed in a pen version and is very handy to use. It works very well when applied over the foundation and set with powder (btw I’m very curious about their setting powder too!). Since I have quite dark under eye circles this shade is a little bit too light for me. Although I mix shades together, my only wish would be to add at least 2 shades more for the concealer and for the foundation too. Will be patient waiting what the future will bring 🙂 The concealer is based on the same ingredients as the foundation so it really nourishes the skin while you wear it. I have found after a month really weird that it has a certain smell (not harsh or rancid; yes my nose is really tough!). Weird because it was almost with no scent (and the foundation is ok with the scent) and because it’s not an old product neither. Eyebrow pencils are another make-up product that I always look for to test first, since many of them can be too soft or too greasy. I always look for a precise and medium (not too soft nor too hard) pencil for shaping the brows. I have chosen the shade n.1 called dark brown among 3 shades. As you can see from the swatch below it’s a dark neutral brown. The pencil has the brush to comb the brows incorporated. Overall I find this pencil among the best ones too. It is ultra precise and a little goes a long way. At this point I can say that I plan to try even other products from this brand. I am enchanted by the overall quality of performance and their design is absolutely fantastic too! Stay tuned to see these products in motion in my new video tutorial! Any thoughts about this brand? Who uses it already?